About 80 or 105 species depending on classification. 16 species in the FSU, mainly in the Caucasus, Far East and Siberia. All species are highly ornamental. Some have been known in cultivation for many years. Lilium dauricum Ker-Gawl.) = Lilium pensylvanicum Ker-Gawl. Lilium pulchellum Fisch. 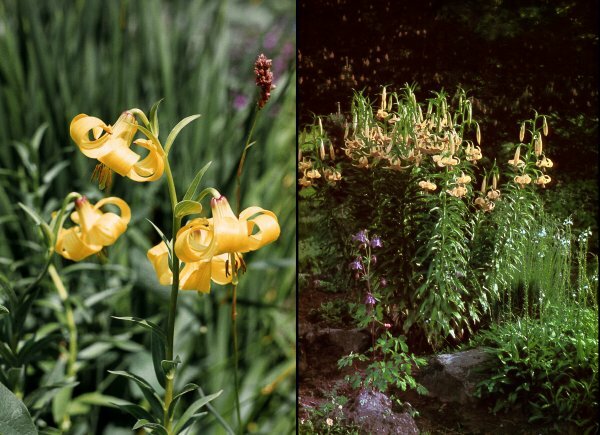 = Lilium buschianum Lodd. Lilium tigrinum Ker-Gawl. = Lilium lancifolium Thunb.